Success has not been hard to come by in recent years for Durham, but did they meet expectations in 2015? After winning two trophies in two years, many cricket fans in the north east were feeling cautiously optimistic that another successful season could be on the cards in 2015. But, after a promising start, there was an err of anti-climax as the county sleepwalked to an uninspiring finish in all formats. 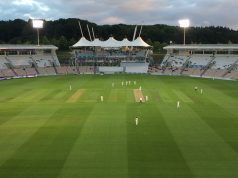 Four-day cricket will always be the priority for the side who went into the campaign having won three championship titles since 2008, but a modest budget and a squad not blessed with experience were unable to maintain the form they needed to oust Yorkshire from top spot in the County Championship. With no major incomings to the squad and having lost Gareth Breese from the side which lifted the Royal London One-Day Cup the previous season, much of Durham’s hopes hung on their experienced core of Chris Rushworth, Graham Onions and four-day captain Paul Collingwood to guide the side to a respectable year. Indeed, the Chester-le-Street side had looked to be Yorkshire’s main competitors in red-ball cricket after beginning the season with six wins out of eight. 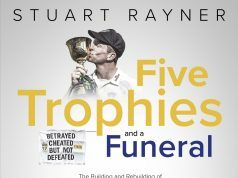 But the County Championship is a marathon, not a sprint, and soon any dreams of regaining the title they had won in 2013 began to drift further away, eventually leading to many in the north east peering nervously over their shoulder as the dreaded relegation trap-door suddenly didn’t seem far off. Victory against Worcestershire in their final match of the season ended a run of six defeats in seven and secured their Division One status, and although relegation never appeared to be a realistic outcome, many Durham fans can rightly be concerned that the possibility of slipping into the bottom two was even thinkable given such a promising start. One dreads to think how Durham would have fared had Rushworth not been around. The 29-year-old took 100 wickets across all three formats, picking up the PCA Player of the Year award for good measure. He’s made no secret of his desire to claim an England test call up, and who can blame him? In fact, a feature of the side’s success in recent season has been their bowling attack, and despite an underwhelming season, this year has been no different. 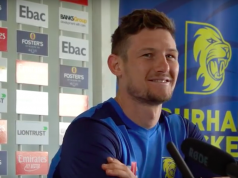 Batting, however, has let Durham down on countless occasions, and with this in mind it is easy to see why the club fell short in both the Natwest T20 Blast and the One-Day Cup. Much like their Championship campaign, the Durham Jets began their T20 season brightly with victories over Yorkshire, Lancashire and Northants coming in their opening four games. Under the captaincy of Mark Stoneman, the side battled for top spot in the North group, only to tail off towards the second half of the campaign and finish 6th. They did at least make it to the One Day Cup quarter finals, edging ahead of Northants on net run rate to set up a visit to Trent Bridge in the last eight. Having restricted Nottinghamshire to 170 all out and reaching 125/3 in reply, the visitors lost their last seven wickets for 19 runs. If that match doesn’t sum up Durham’s season, nothing will. People often water down the success of pace bowlers at Durham because of the seam-friendly conditions Chester-le-Street produces, but few can deny that Chris Rushworth has been the stand out player of the county circuit this season. The Sunderland-born bowler was consistent across all formats, with no player taking more wickets than him. Durham have always been proud of their academy, but it was only during the back end of the season that coach Jon Lewis really put faith in his younger players. Many first teamers disappointed, and while Irishman Barry McCarthy only stepped in for the final two games of the season, the 23-year-old showed signs of staking a first-team claim next year. Once an immovable object in the Durham side, Phil Mustard was unable to regain his place in the Championship side that he lost to Michael Richardson last season. Having to settle for shorter form cricket and a place in the seconds, Durham’s batting could have done with an in-form Mustard this season. Batting. Durham regularly claimed fewer than two batting points in the Championship this year, and their chances in both the T20 and RLODC both suffered as a result. Every good team needs balance, and Jon Lewis’ side can’t keep relying on their bowlers to bail them out of trouble if they are to add to their silverware cabinet any time soon.